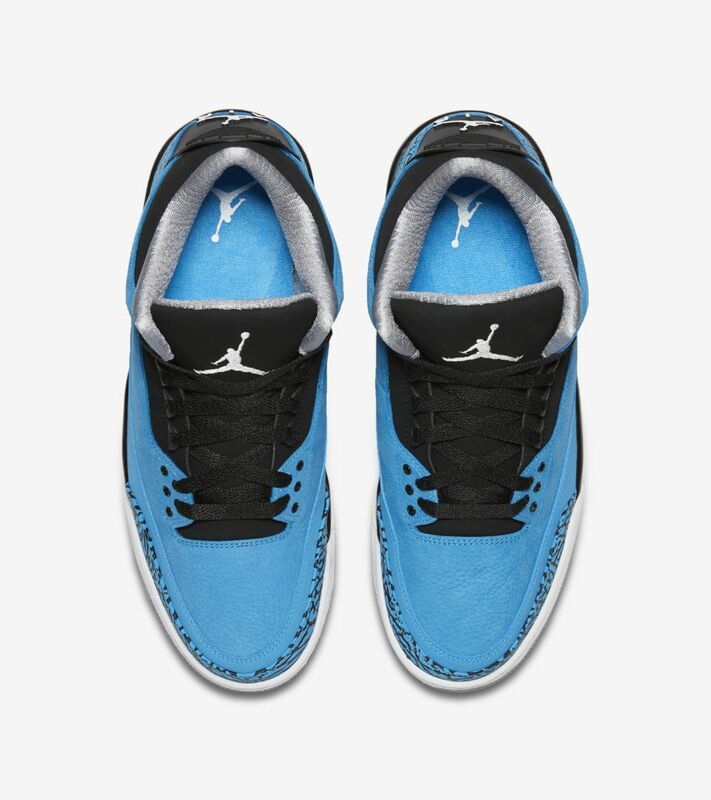 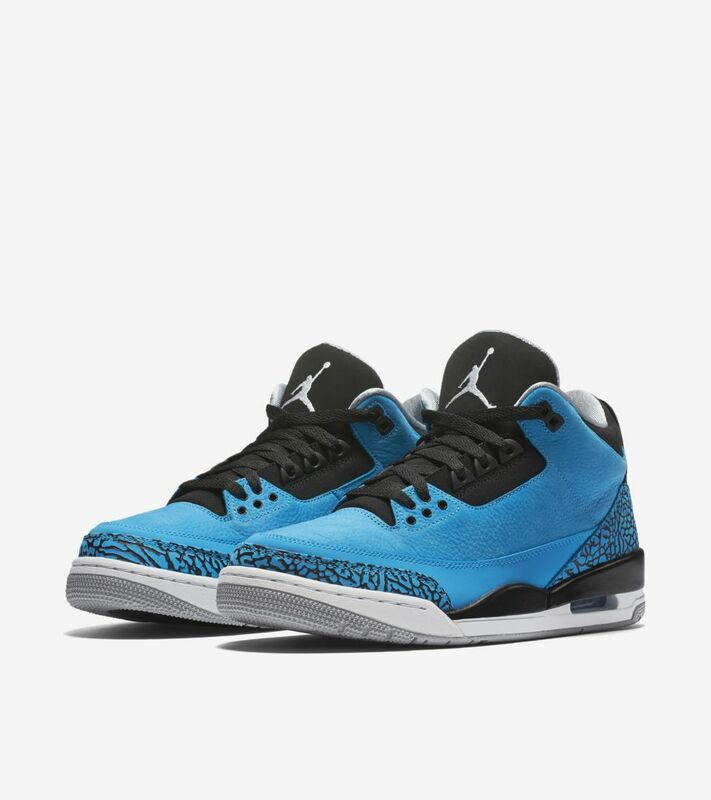 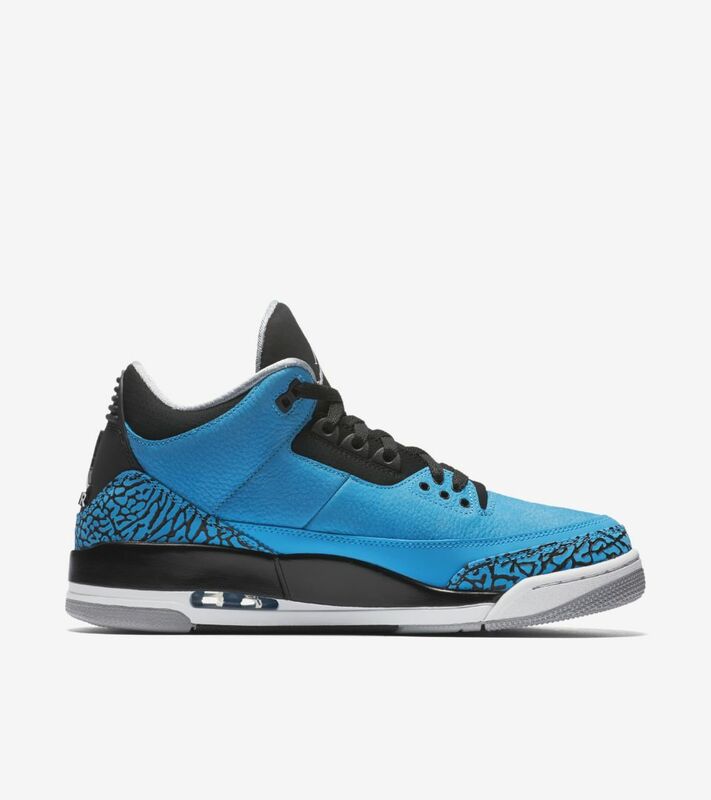 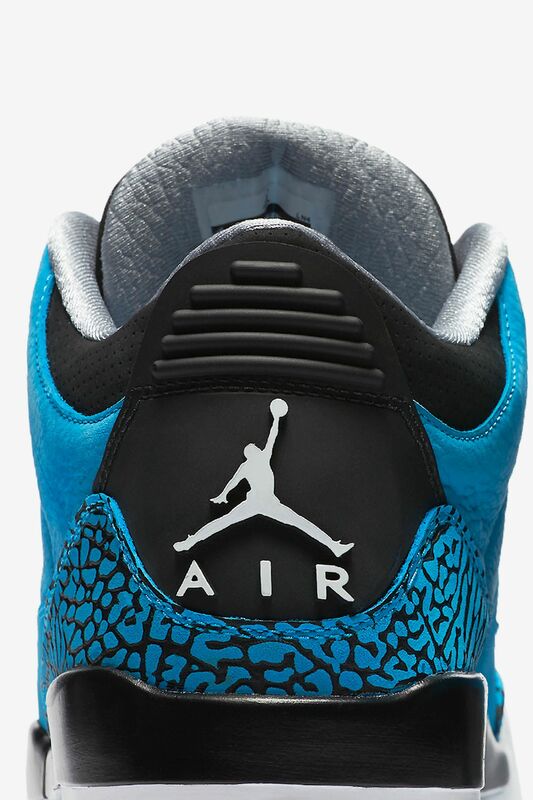 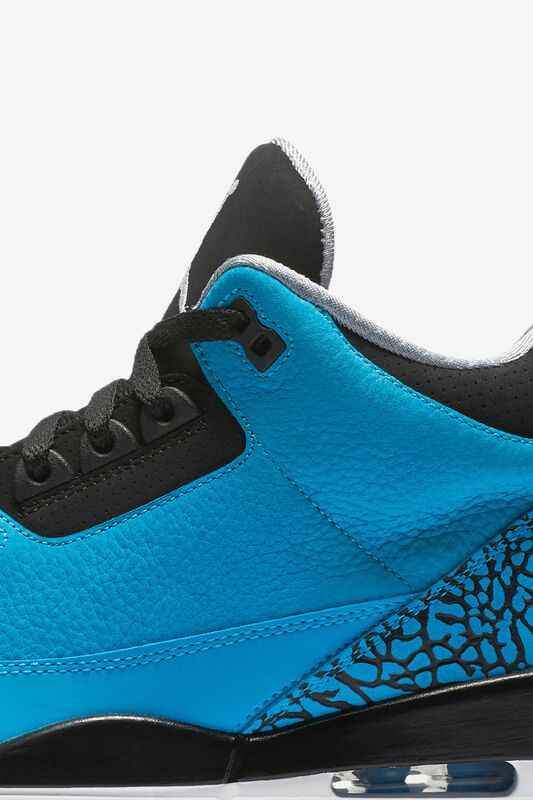 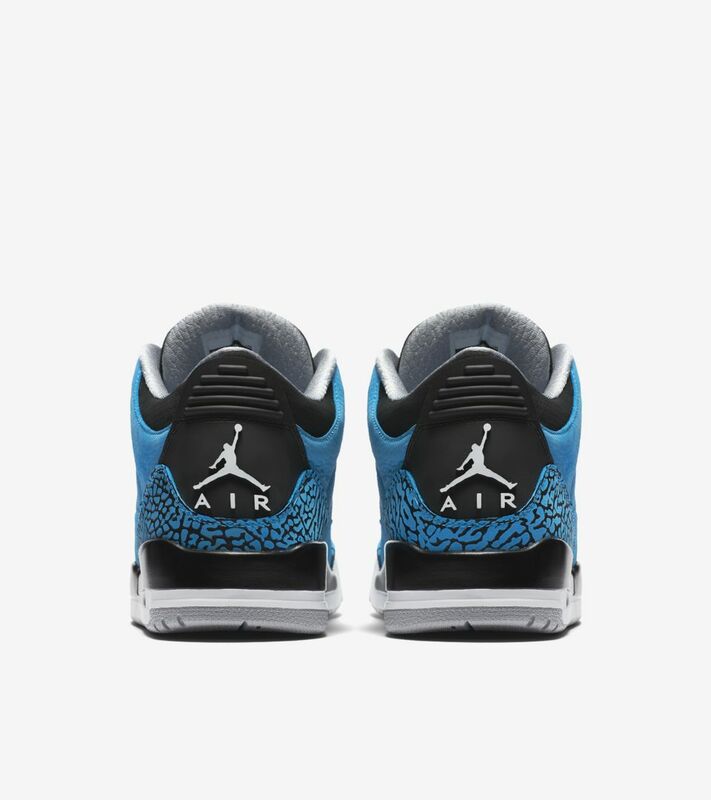 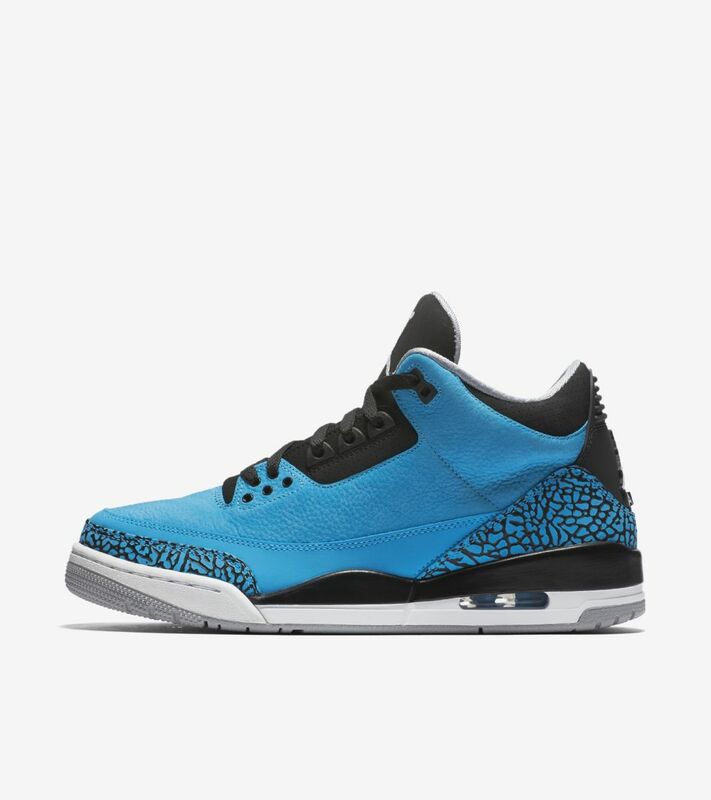 The Air Jordan III 'Powder Blue' has landed—with a new look for a classic design by Tinker Hatfield. 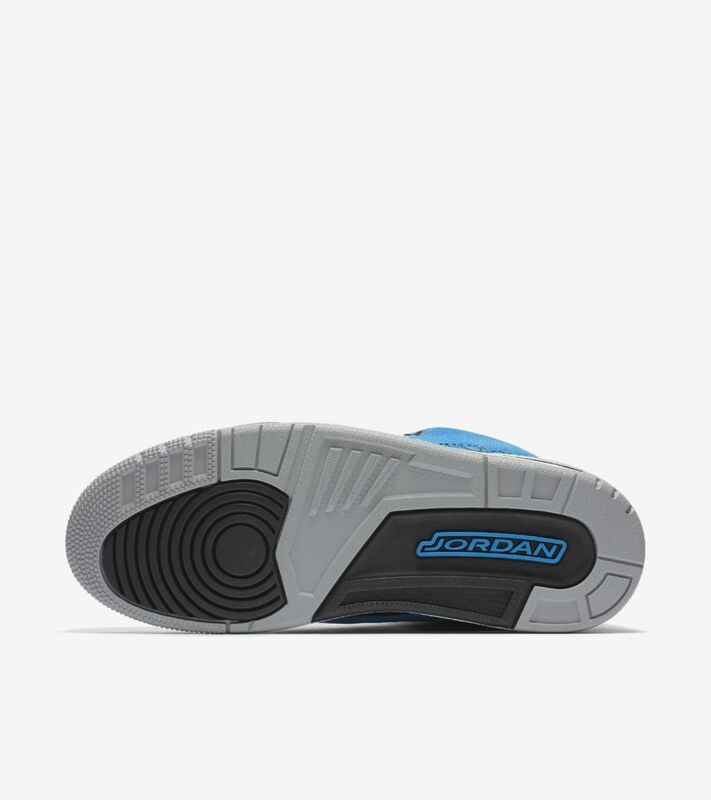 This distinctive colourway features a Dark Powder Blue upper with touches of Black filling. 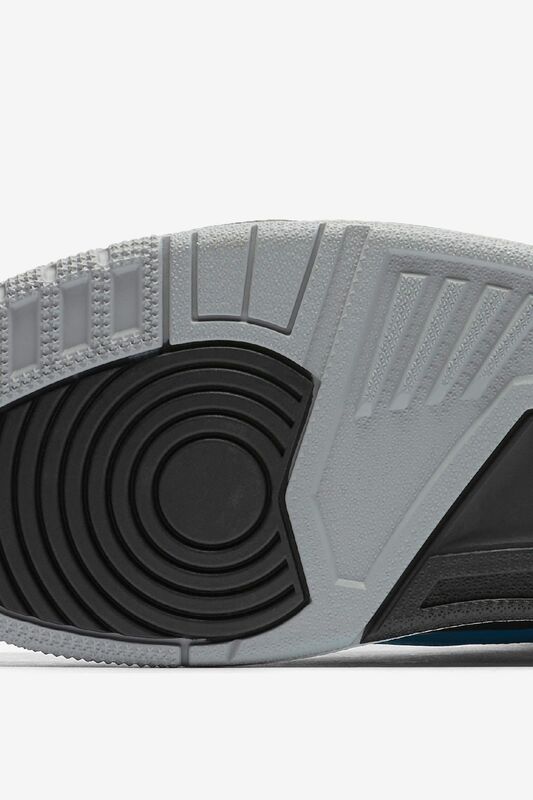 Wolf Grey accents the tongue’s Jumpman logo, inner lining and outsole.